Confucius’ birthday is still celebrated on September 28 in many areas of Taiwan. Confucius (551 BC – 479 BC), or Kung Fu Tse as the Chinese call him, is said to have been born in the Lu Kingdom, in the now Shandong province. After his death, he was revered as the founder and Saint of Confucianism. His contemporaries include Socrates and Shakyamuni, the founder of Buddhism in India. 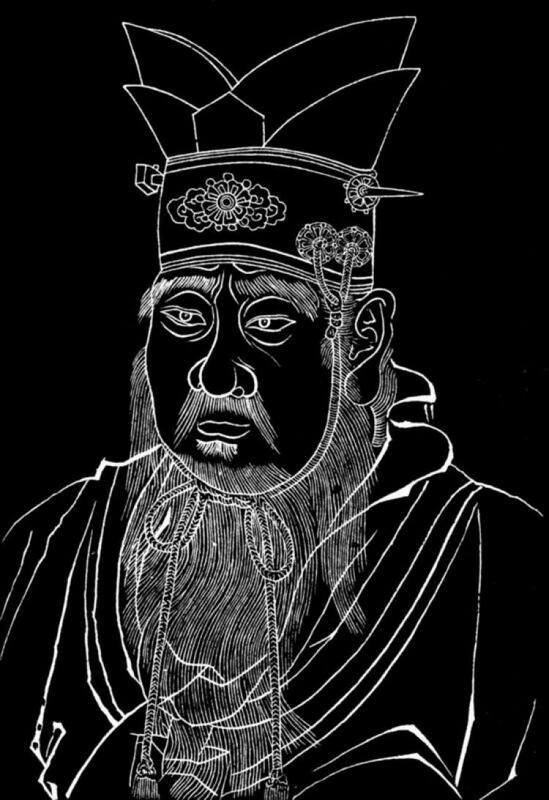 Confucius lived during the age of Chun-Qiu (770 – 476 BC). At this time there was fighting between several small states in the Chinese Empire, causing many customs and moral values to perish. Confucius came from a poor aristocratic family. His father died when he was three years old. Early in his life he obtained old scriptures from rich and educated people and acquired a large knowledge through diligence, humility, and intelligence. Therefore, despite his poor family background he became an official of the emperor. When Confucius later resigned from office, he had several disciples who followed his teachings. Hoping that through these teachings he could re-establish the correct order in the world, he and his disciples started wandering throughout all the countries of the Empire. On their way from one state to the next there were times they almost starved to death. Dozens of years passed and none of the rulers showed any interest. In his later life, he gave up spreading his teachings and concentrated on studying old books. Nowadays it is found that for many old books only the appointed version copied by Confucius has survived. He gradually accepted more disciples in order to create a wider base for the future dissemination of his teachings. He did not receive any fame until after his death. His disciples dispersed and carried his teachings to many parts of the country. The discussions he had with his disciples were written down as recollections in the book “Lunyu.” The moral values emphasized by Confucius were “kindness, righteousness, politeness, wisdom, and trust.” In later generations these won more and more meaning in all areas of society. Years after his death, his works became standard reading for the intellectual upper classes. Throughout many centuries and dynasties, applicants for official positions were measured by how well they understood the works of Confucius. Also the Emperors of many dynasties followed his teachings, as shown by the short story about Emperor Tai Yong from the Tang Dynasty. He was a perfect example for the governmental style that was influenced by Confucius. Many things have been written down in “Lunyu” about the art of governance. An example of this is from the chapter Yan Yuan: “The Duke Ji Kang asked Confucius about the principles of good governing: ‘How about if I simply kill the evil ones in order to help the good ones obtain justice?’ Confucius answered: ‘You are here to govern not to kill! If you really want goodness, then your people will turn towards the good: The virtue of a noble ruler is like the wind, the virtue of the small people is like the grass – if the wind sweeps across the grass, it will bend down'” (Translated by Erling Weinreich, 2003). Confucius divided the virtue of a ruler into two categories. One is for the moral character of the ruler, for which there is a series of writings in “Lunyu”. For example, how he can see his own mistakes and correct them and deal with and treat his fellow men well. The second part concerns the relationship between the ruler and his people. 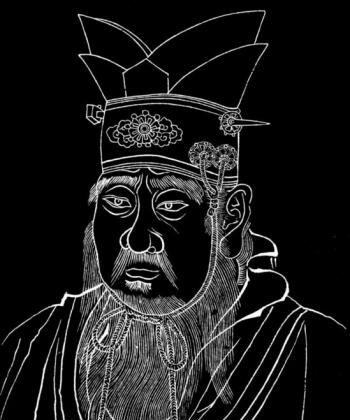 Confucius thought that the people’s trust in the governance to be most important, for him it seemed to be more important than an Army and the populations’ food supply. According to his teachings, the virtue of the ruler first and foremost secures the order of the society of a country. In order to win the trust of the people, the ruler must follow the principle of his ancestors: “the most important thing is the love of the people”. When asked how to act when the morality of the people can no longer be properly maintained, he addressed the issue in his discussions. In the chapter Yao in “Lunyu” it states: “To kill people before you educate them first, means to be cruel.” From the Chun-Qiu age (the so-called spring and fall period), a chaotic world with deep social conflicts, he recognized that the promotion of moral values was not enough to guarantee an ideal society. Punishment should be kept as an alternative method. This teaching can also be found in our western legal systems.